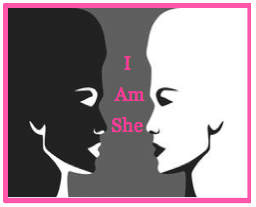 I Choose to Win is now introducing I Am She, a social media campaign that allows social followers to see the best in themselves as they more easily find in someone else. “Sometimes we can become so wrapped up in who we ARE NOT that we hinder our growth or subconsciously downplay who we already are,” explains Constance Brown, intern who developed the campaign. “This may cause us to admire or become envious of others, or even depressed because we can’t see the good in ourselves.” I Am She is designed to help women realize they already have what it takes to be the person they’ve been called to be. Over the next few weeks, I Choose To Win will be challenging followers to take a closer look to see in themselves who they’ve been called to be and learn what they are capable of.